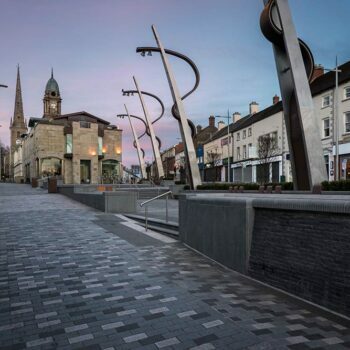 As part of the Lisburn City Centre Public Realm Scheme the local council asked us to manufacture and supply three bespoke feature lighting columns and several smaller, more generic columns to help transform market square into a modern public space. 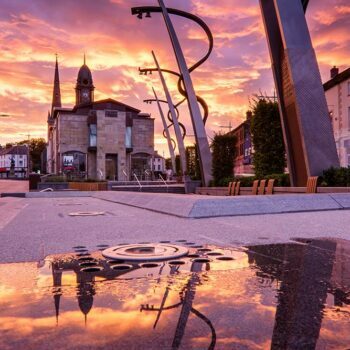 The four main columns were designed to celebrate the prosperous linen industry in Lisburn and represent fabric flowing through the machines of a local factory. 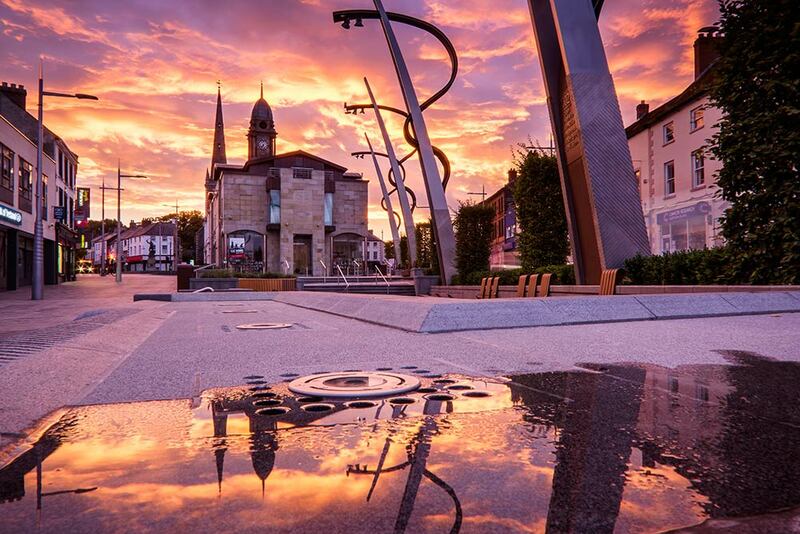 Scribed into the bottom of these structures are key moments in the city’s history, including when it was founded in 1609. In addition to the four main structures, we produced several smaller, tailored lighting columns with bases which emulate rolls of fabric. 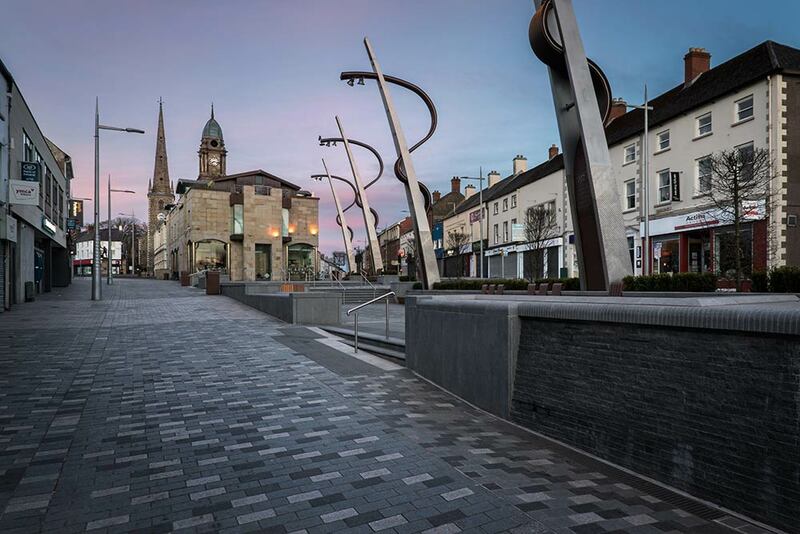 Using Corten steel to create parts of the columns created a great modern, rusted appearance. Corten is unique in that the rust layer protects the core metal underneath. 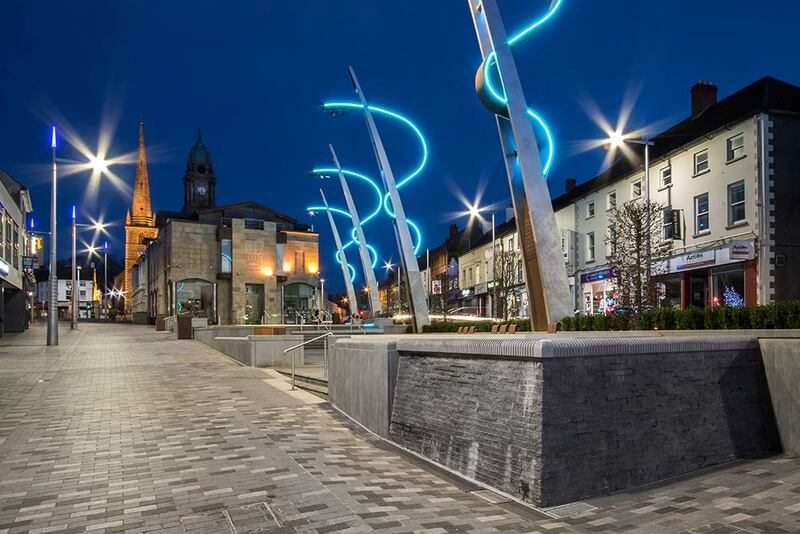 Whilst powerful lighting evenly illuminates the square, smart LEDs flow with the columns shape. 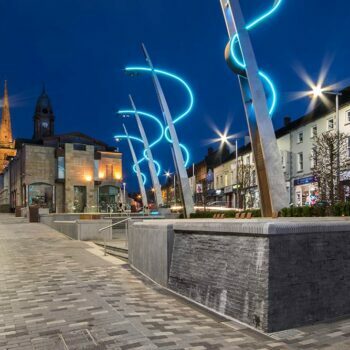 The colour of these LEDs can be changed to correspond with the time of year or for public events. Want to ask about a this case study or the products used? Use the details below to get in touch.